Off-the-grid Power: When you're out enjoying the great outdoors, enjoy another perk: free limitless power. 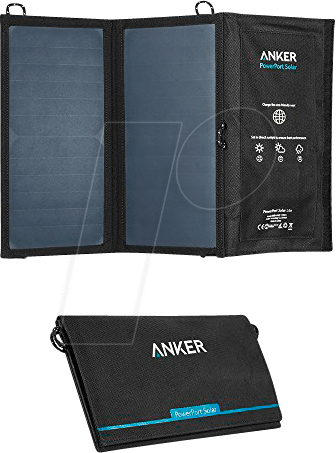 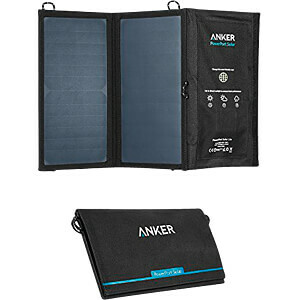 Simply spread out the solar panels or attach to the pack to start recharging your gadgets. 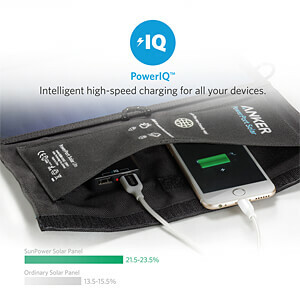 Suitable for iPhone 7 / 7s / 6s 6 / 6s Plus / 6 Plus, iPad Air 2 / mini 3, Galaxy S7 / S7 Edge/ S6 / S6 Edge / S5 / Nexus and many more. 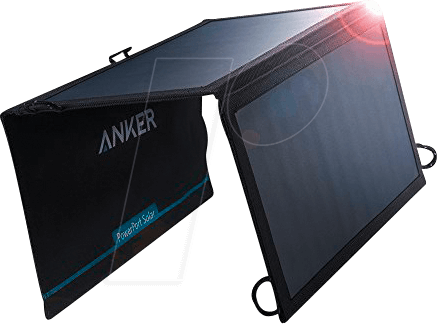 Exclusive to Anker, PowerIQ discovers and replicates the device's original charging protocol to provide its fastest possible charging speed up to 2,1 A overall (with enough direct sunlight). Compact dimensions (27,9 x 16 cm folded or 46 × 27,9 cm opened) and rugged elastic loops on the top and four corners make attaching it to a backpack, tree branch, or tent a synch. 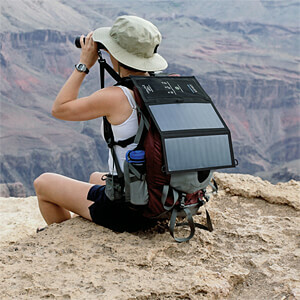 Super lightweight (376 g) and slim foldable design ensure it easily fits in almost any daypack. 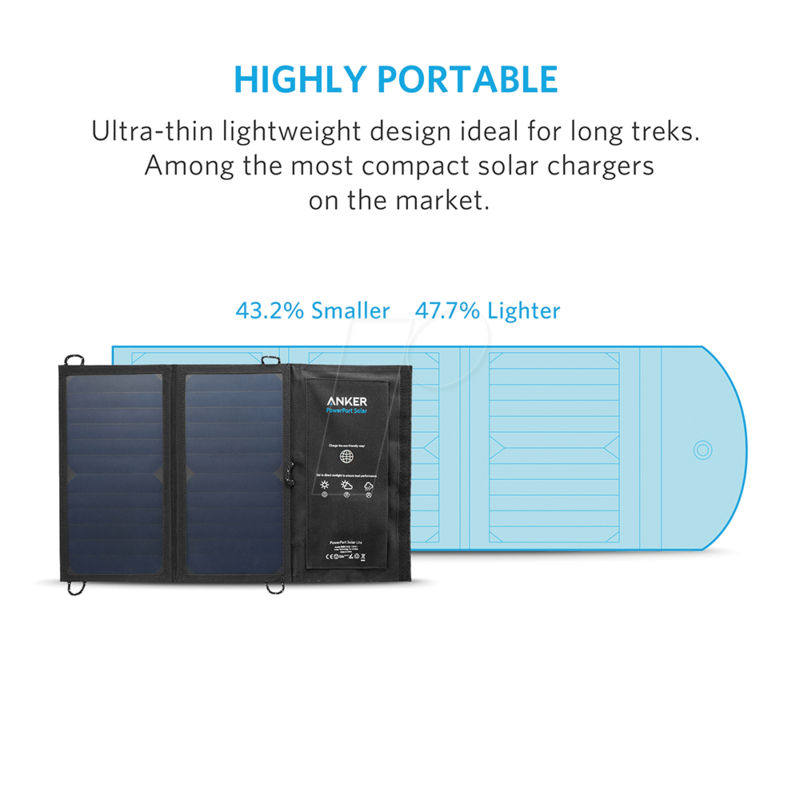 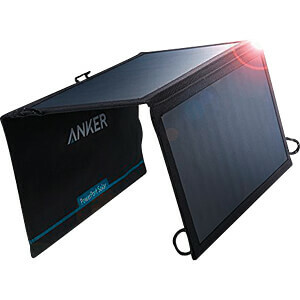 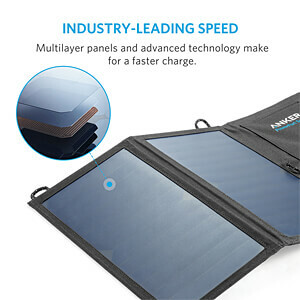 Industrial-strength PET plastic faced solar panels sewn into high-wear polyester canvas ensure it's able to withstand the trials of outdoor adventures.